The evidence is clear: When teachers learn, they are more successful in helping students learn. Every school leader wants to support teacher learning, whether through formal professional development, collaborative learning teams, or informal nudges in conversation. This task is so important that I have developed a term for it: Learnership–leadership for learning. Despite their best efforts, school leaders sometimes feel ineffective in the task of learnership. They envision teachers eagerly engaging with professional development facilitators, collaborating effectively with colleagues, and always being open to suggestions from a caring administrator. What they get, though, can be more akin to a sales situation, in which the school leader needs to cajole teachers into participating; or a battle, in which school leaders, against their better judgment, demand compliance. Creating opportunities for teachers to collaborate across grade levels, departments, or subject areas. For instance, what would happen if the art and math departments worked together to plan for English learners? Exposing teachers to others who are doing the exact opposite, using video, school site visits, book studies, or conference attendance. 2. Avoid too much disequilibrium. Although we learn when challenged by the unfamiliar, we shut down when there is too much that is different. School leaders should limit the number of new initiatives and ensure that enough time is given for teachers to thoroughly consider and implement new programs, curricula, or practices. Remaining centered and open when others disagree with them. Preparing teacher leaders to facilitate protocols for productive disagreement. Asking teachers: What do we want to do when we disagree? 5. Honor the learning that has occurred. When school leaders push for more growth, they can overlook the learning that has already taken place. Sometimes they even dismiss certain teachers as failing to learn at all. The work of thinkers in the field of complex living systems informs us that every living thing grows, and for humans that growth often can be described as learning. Administrators who engage in learnership are on the lookout for evidence of teacher growth, not only when teachers participate in formal learning opportunities, but in any capacity. For instance, an administrator focused on ensuring science standards are met could overlook the fact that a science teacher has learned to collaborate with special educators in meeting the needs of students with IEPs. Teachers grow and learn all the time. The leader who wants to influence that growth can do so by engaging in learnership–thoughtful support for teacher (and student) learning. What do you think about the concept of learnership? How do you support teacher learning in your school or district? Tell us in the comments. Cathy Toll supports teacher learning by guiding educational coaches, professional learning teams, and administrative leaders. She has been a consultant, keynote speaker, and workshop leader throughout the United States, Australia, and Canada. Cathy has served as a teacher at the elementary, middle, and high school levels, a reading specialist, a curriculum coordinator, a school principal, director of literacy research and development, grant director, state department of education consultant, and educational coach. Cathy has published widely for teacher leaders, including six books for literacy coaches and a book on Learnership for principals and teacher leaders. Her most recent book is Educational Coaching: A Partnership for Problem Solving (ASCD 2018). Cathy lives in Menasha, Wisconsin, with her husband David and their two cats. 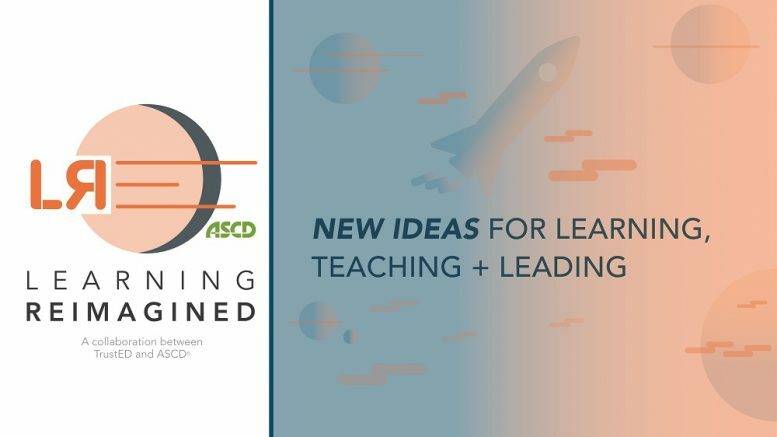 We recently teamed up with ASCD, a leader in professional and curriculum development support for educators, for a new ongoing blog series called Learning Reimagined. The regular column asks some of ASCD’s leading thinkers to shed light on the obstacles facing classroom innovation and the opportunities available to educators who are willing to take the leap. Be the first to comment on "Teach the teacher? Here are 5 ways to influence teacher learning"